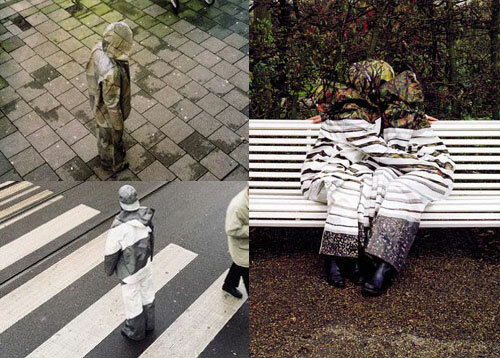 Ever want to hide in plain site while on a urban exploration outing? Whether you’re an urban explorer or simply adventurous and mischievous there is something in this collection for you. Here is a selection of ideal urban camouflage perfect for blending into the city scenery and traveling around town unseen while exploring amazing urban abandonments. 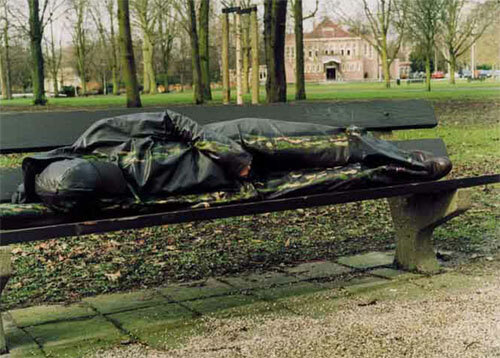 Desiree Palmen is a photographer with a quirky interest in creative and extremely blended urban camouflage, which she sets her subjects in before photographing them. Of course, these only work in the limited range of settings where she craftily applies them which makes them somewhat less versatile. Oooms has developed a clever City Hideout, a portable temporary dwelling made to fit one seated adult. 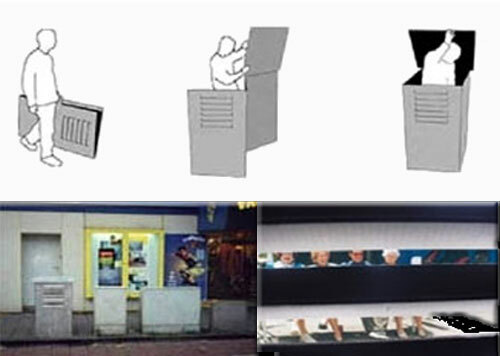 The collapsable metal box resembles the kind of streetside sheds that commonly house electrical devices such as streetlight controls, new-age parking meters, and small generators. The hideout can be easily assembled on any corner or rooftop as the ultimate urban camouflage. 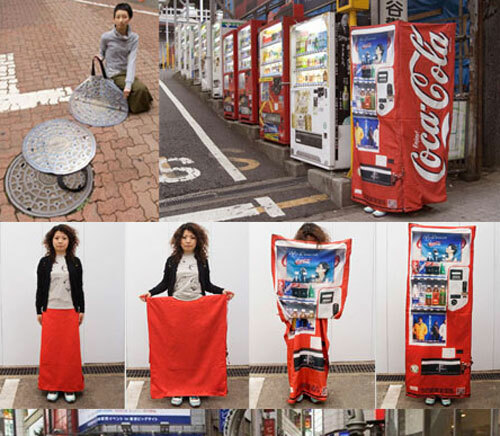 Coke Machine Camouflage is an amazingly portable work of urban camouflage by Aya Tsukioka and unfolds from a simple red skirt. It may not be enough to fool attackers, but perhaps it would work in a crowded downtown with lights, images and other commercial urban artifacts. 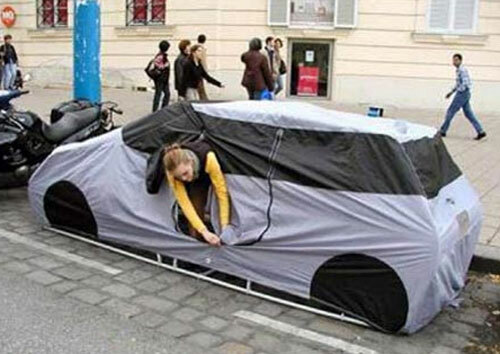 The Car Tent provides a longer-term solution to those mentioned above and is also highly portable and versatile in its applications. Sure, it doesn’t look much like a car, but it isn’t supposed to: instead, it mimics a car cover which is far more plausible so long as it doesn’t get rear-ended. Teslar Logistics is an ongoing experiment in subversive urban camouflage. 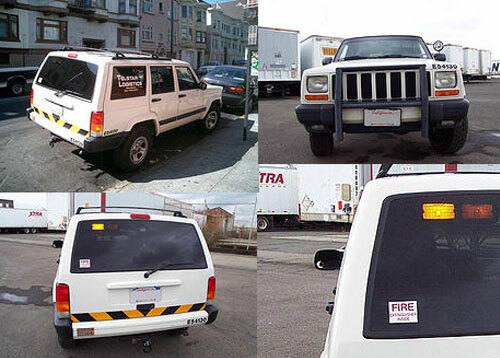 In essence, the faux company covers its vehicles in official-looking labels, signs and warning stripes to make it seem like an official vehicle of some kind. The originator of this strange phenomena even has pens with his ‘corporate’ logo! 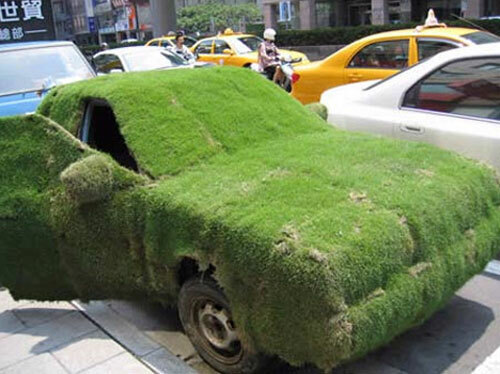 A Grass Covered Car would of course be even more conspicuous and stand out in a typical urban setting, quite the opposite of the urban security camouflage above, but placed in a public park or similarly green location it could blend into the background quite well. 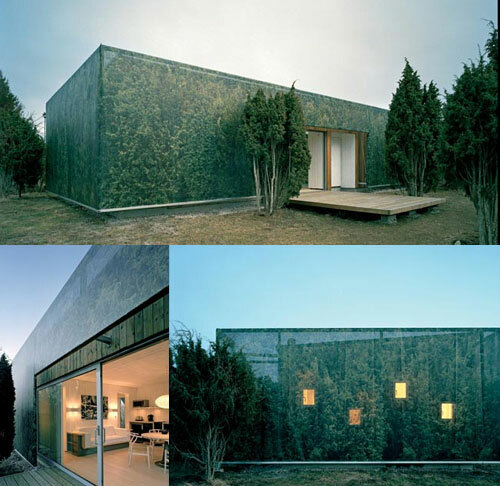 The Camouflage House would, like the car above, require a more wooded location for success as camouflage but in a forested setting it clearly blends in amazingly except for pinpoints of light from the interior. These outfits may come in handy for exploring abandoned missile silos, underground wonders of the world, and abandoned wonders of the world, but if you’re going to get into urban exploration be sure to do it legally. Here are some abandonments resources to help you on your way. And if you do go, make sure to take lots of pretty pictures to share!